Michigan Young Agents understand the importance of developing relationships with local, state and national legislators and take strides throughout the year to spread the word about the importance of advocacy and legislative efforts in our industry. They educate others on and collect donations for the Michigan Association of insurance Agents AgentPAC (state PAC) and for our national association's InsurPac. They distribute information and legislative resources at all of their networking events. 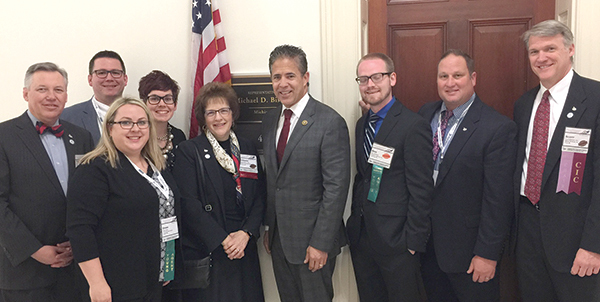 They attend the Big "I" National Legislative Conference each spring and meet with legislators to discuss issues important to our industry and to our clients. They also join the MAIA Board in legislative visits each Spring to our state Capitol.